The whole point of adding rooflights or a glazed extension to your home, is not just to be able to enjoy all that extra light. It’s also about enjoying more open space as dark areas open up to the light. And in the case of an extension, enjoying the feeling of the outdoors year round and quite literally from the comfort of your own home. 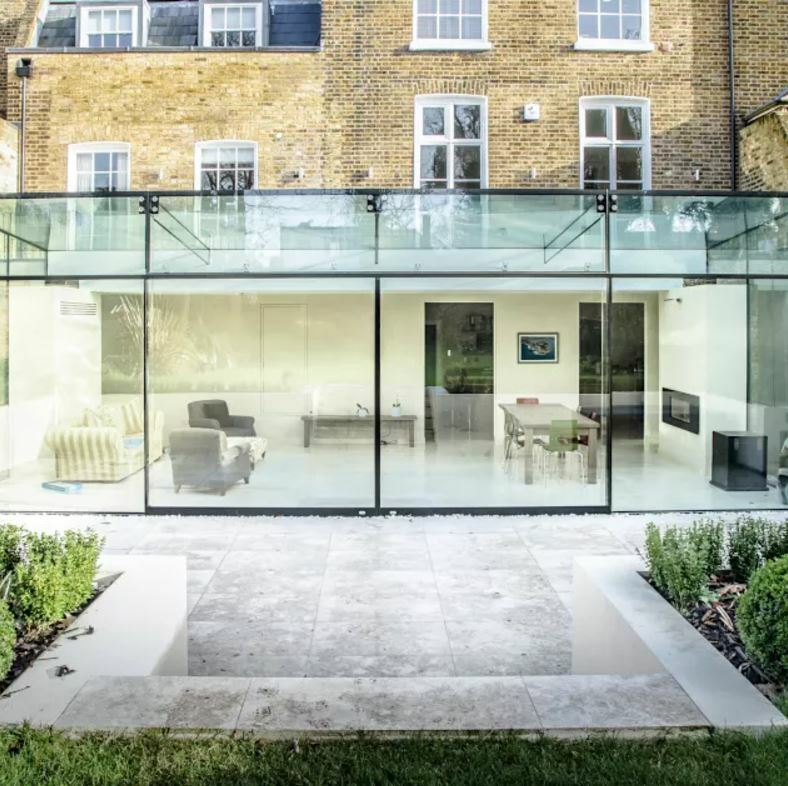 If you are thinking of adding a glazed extension to your home – or your plans to extend involve utilising glass in a big way, you may be wondering what the options are. 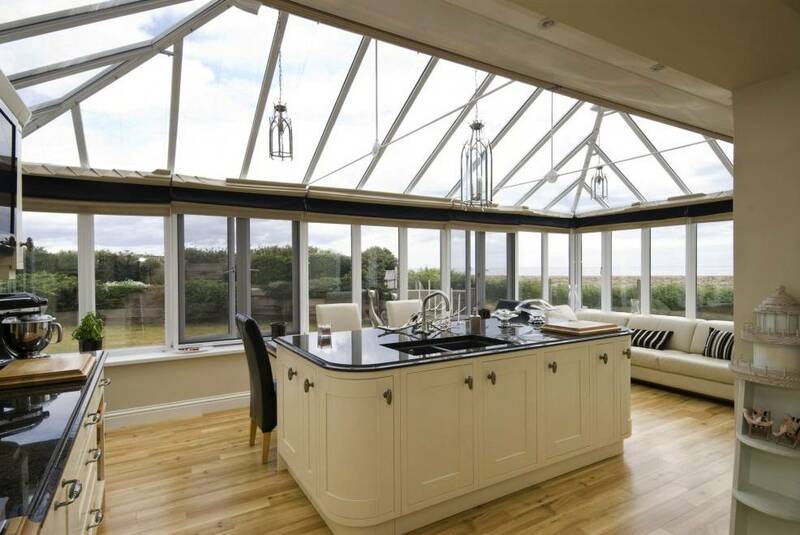 For example, what’s the difference between a traditional conservatory and today’s conservatory style extensions or even modern frameless glazed extensions that can add so much drama to a home? Traditionally, conservatories are totally separate from the main house and have a lockable door between the structure and the home. A conservatory style extension on the other hand, may borrow design elements from a conservatory – such as a glazed roof or roof lantern, but is open plan with shared heating, plumbing and electricity and the area between this and the main home is blurred. 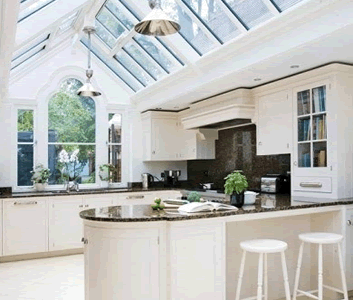 Nowadays, architects and glazing companies alike are being asked to incorporate all the benefits we associate with conservatories into home extension design, flooding the building with natural light. Plus today’s modern glazing also means that home owners can enjoy all the benefits associated with conservatories – with none of the downsides of yesteryear. You can control everything from UV light to temperature – making everything from faded furnishings to seasonal no-go zones a thing of the past. Want to go one step further? Frameless glazing extensions create the illusion that there is nothing between you and the great outdoors. It can link your home seamlessly and simply. Not only does it seem it is ‘not there’ in terms of structure and uninterrupted views, it also allows for organic flow and transition from one area to another. Contemporary frameless glazing extensions are often the solution if you have a period or listed property. Planners often look favourably on these kinds of additions to sensitive homes. For more transparent insight talk to your architect or Vision AGI.